Our family runs Big B’s Juices, Hard Ciders & Delicious Orchards in the heart of the majestic North Fork Valley of Colorado. This tiny mountain valley with high elevation, crisp, thin air, Rocky Mountain water, cold nights and warm days produces some of the finest fruits in the world. 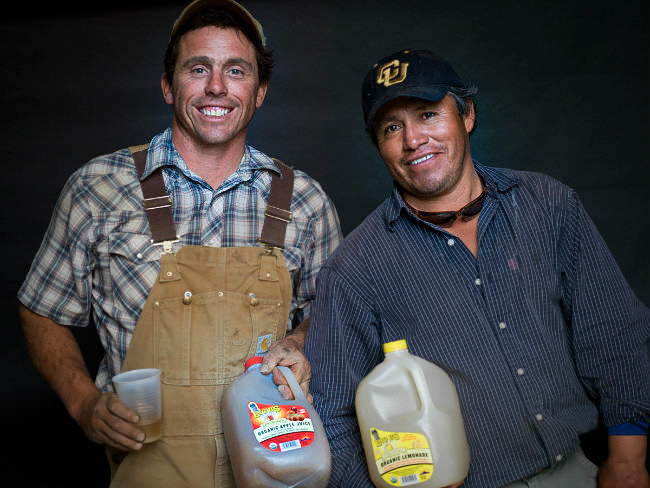 Big B’s produces a full line of ORGANIC and LOCAL apple juices and hard ciders from organic Western Slope fruit.